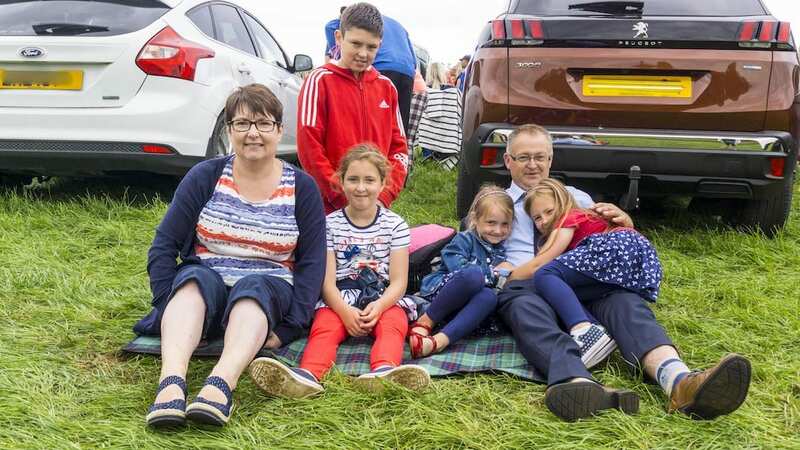 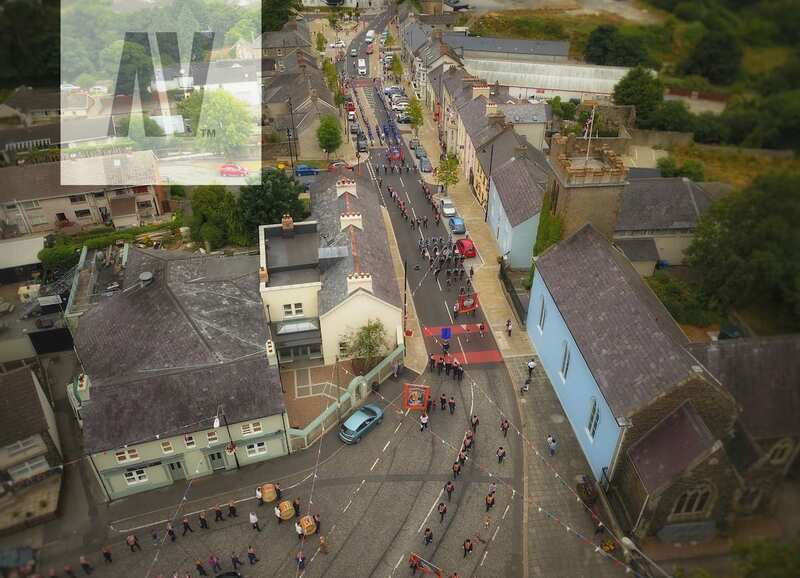 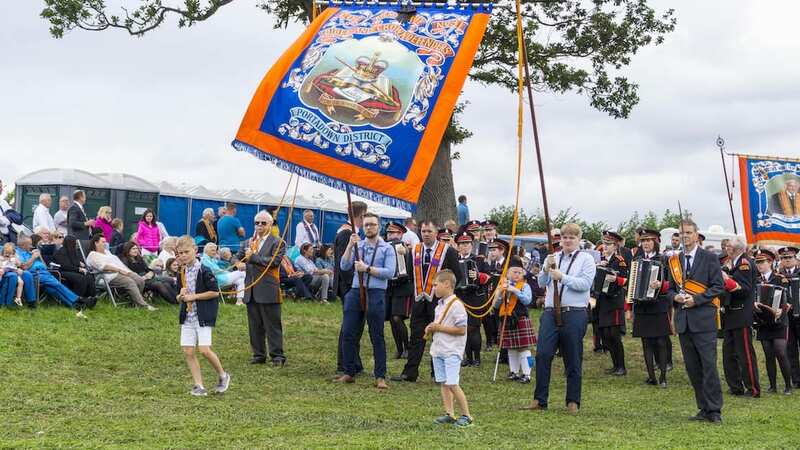 Thousands descended on Loughgall for the largest Twelfth parade in Northern Ireland earlier today (Thursday). 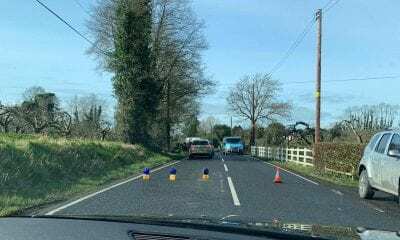 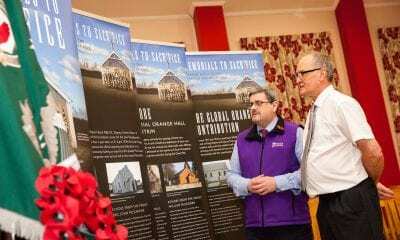 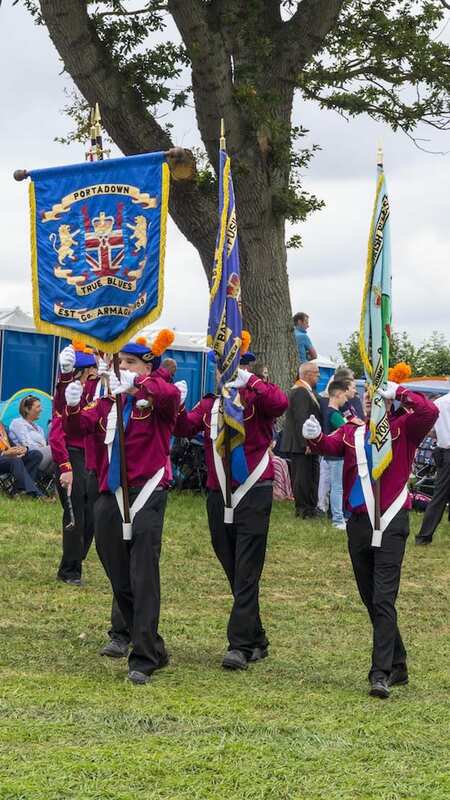 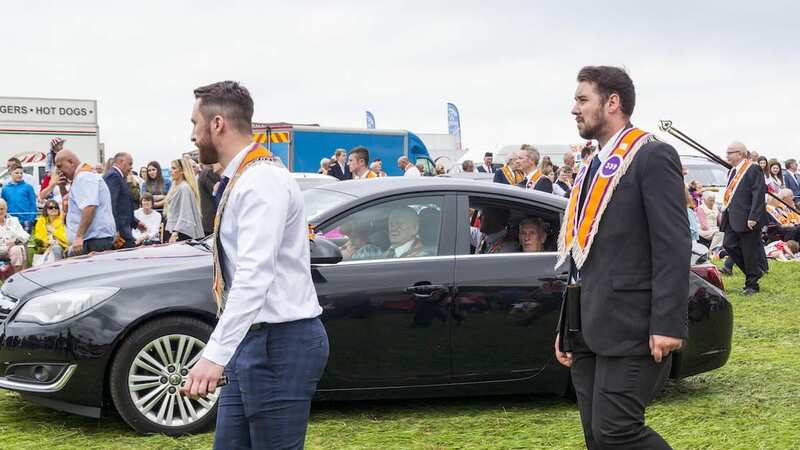 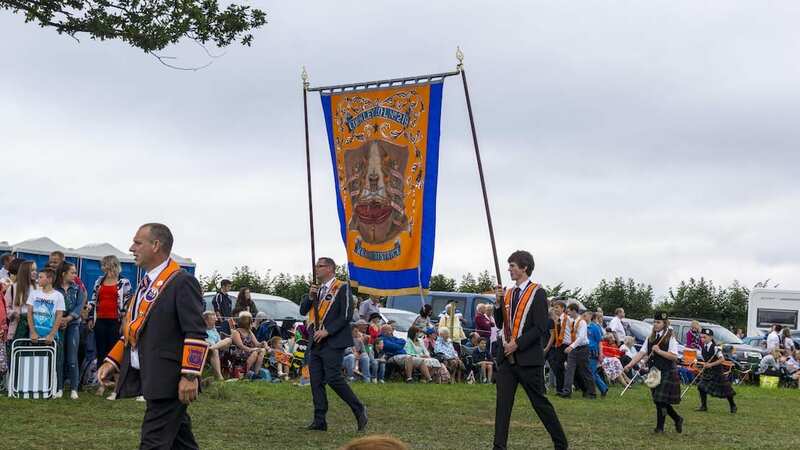 A total of 11 District lodges – with over 150 private lodges and upwards of 5,000 brethren – paraded through the small Co Armagh village – the birthplace of Orangeism. 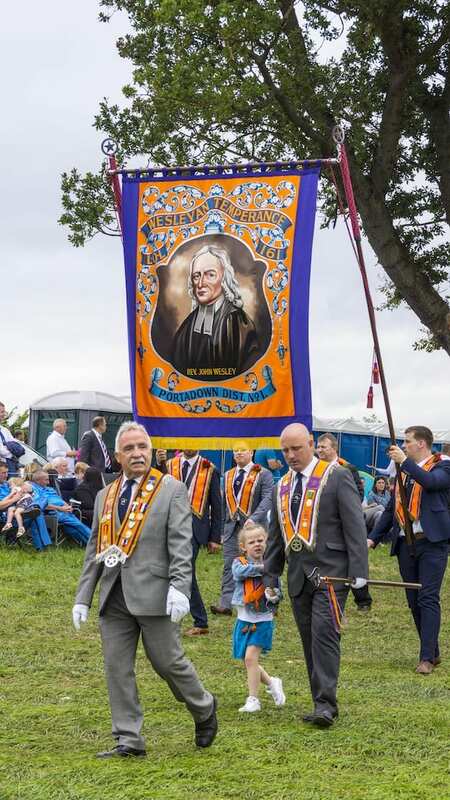 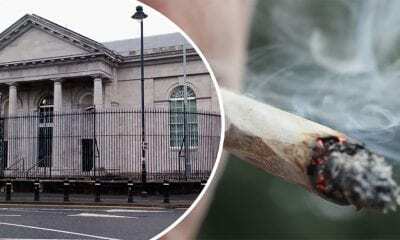 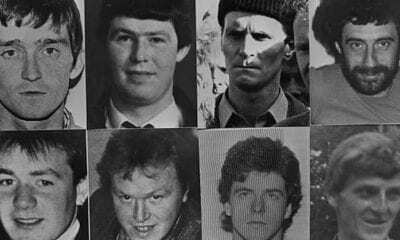 The Orange Order was formed here in 1795, when its founding members pledged their loyalty to the royal family and swore to defend the Protestant faith. 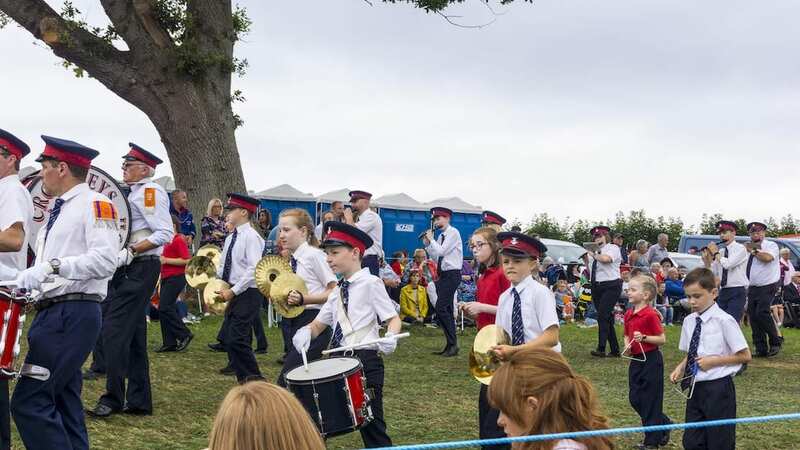 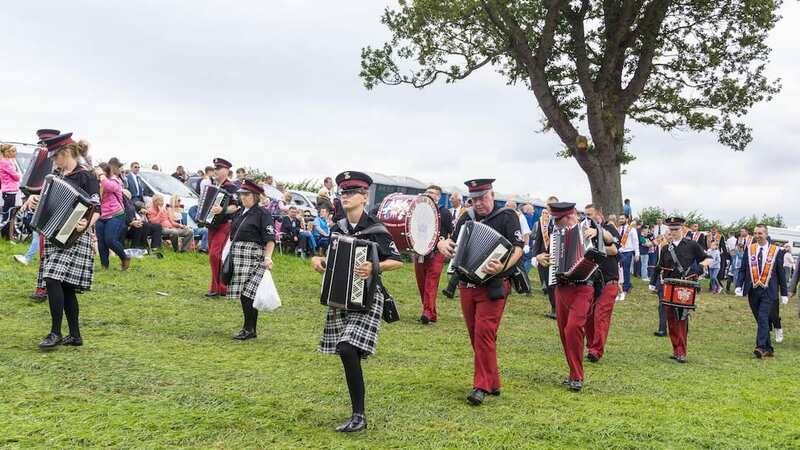 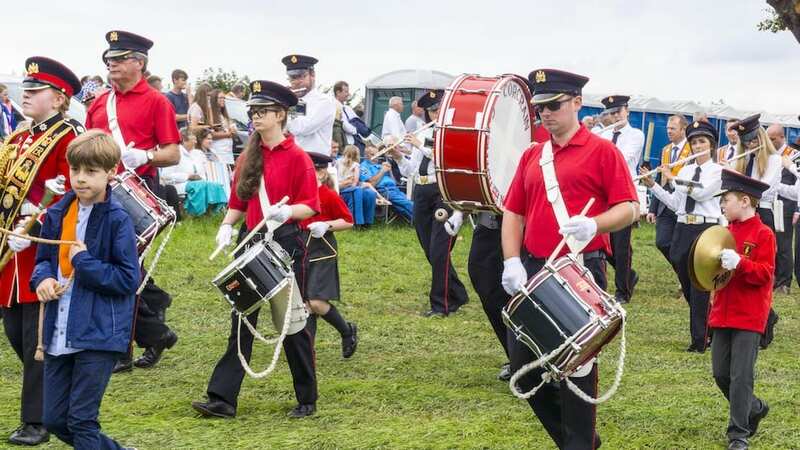 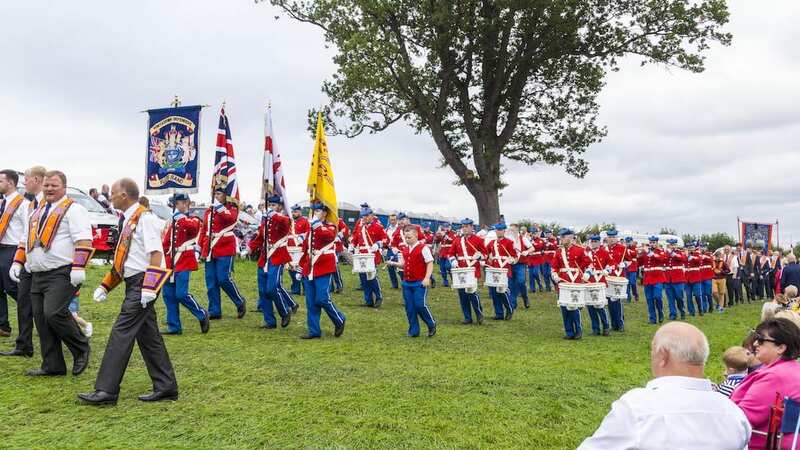 The institution was also marking the 328th anniversary of the Battle of the Boyne. 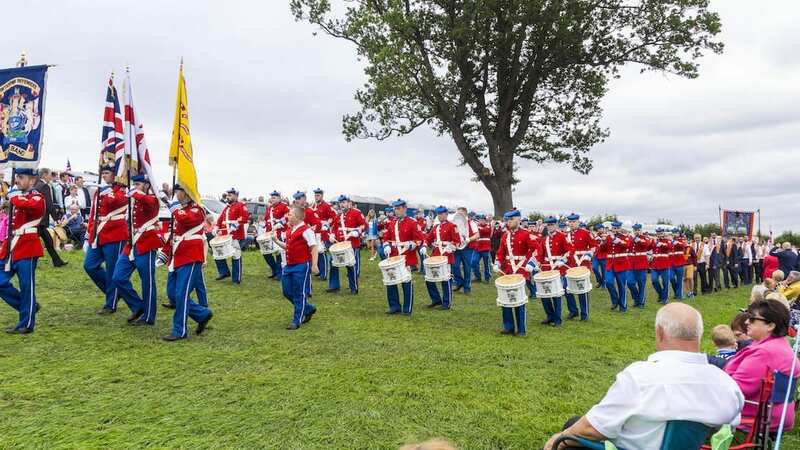 The parade passed the Museum of Orange Heritage at Sloan’s House, where the Orange Institution was founded, following the Battle of the Diamond. 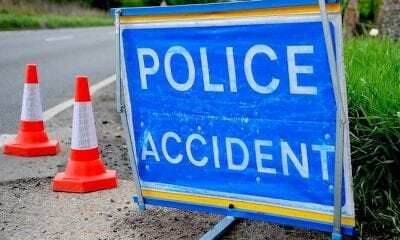 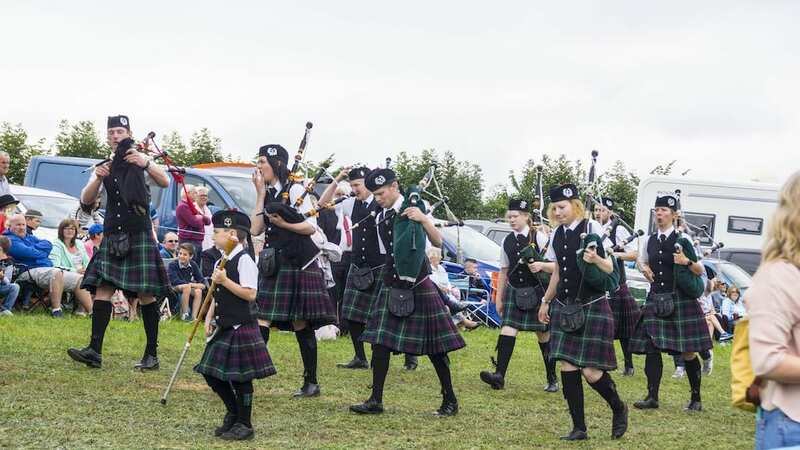 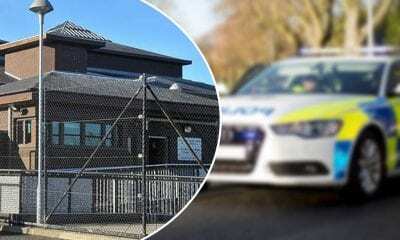 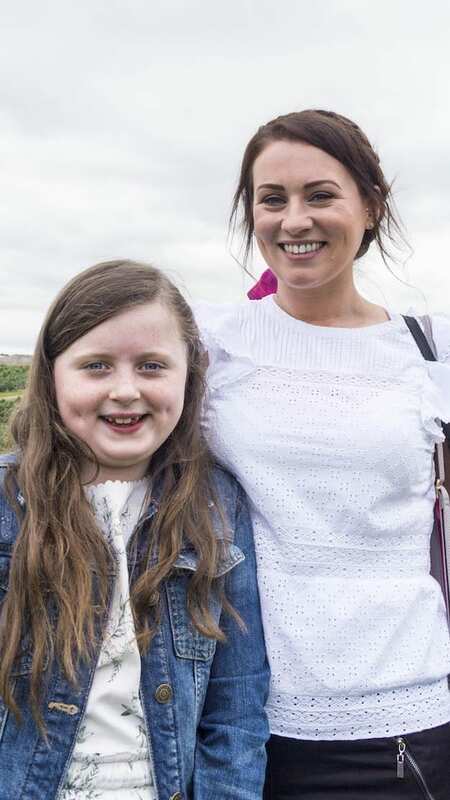 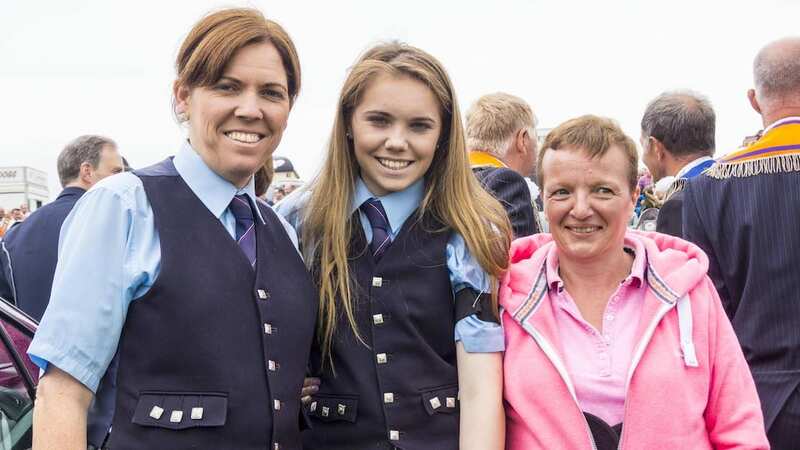 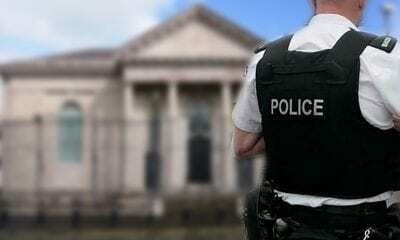 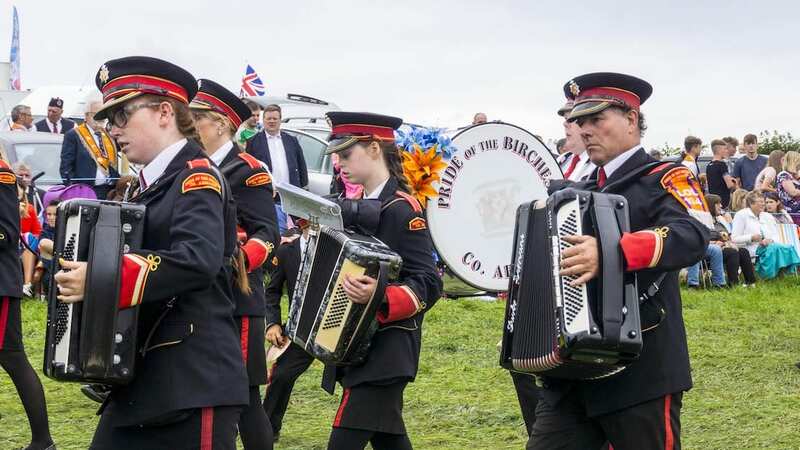 Large parades took place in Derry/Londonderry, Brookeborough in Co Fermanagh, Ballyclare in Co Antrim, Donaghcloney in Co Down and Stewartstown in Co Tyrone. 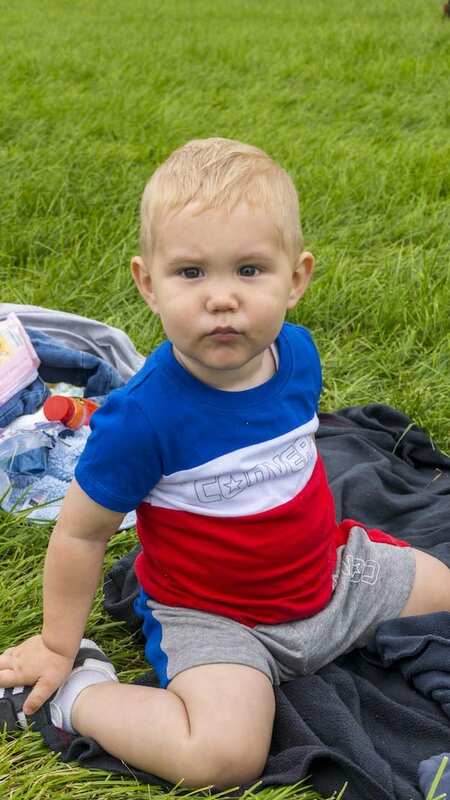 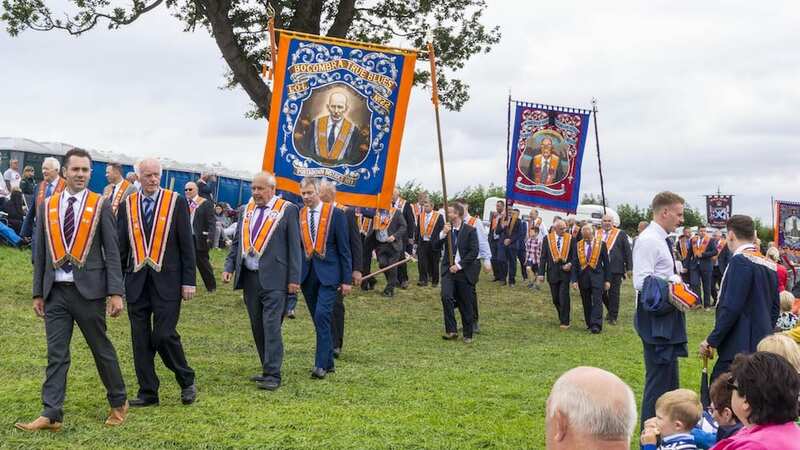 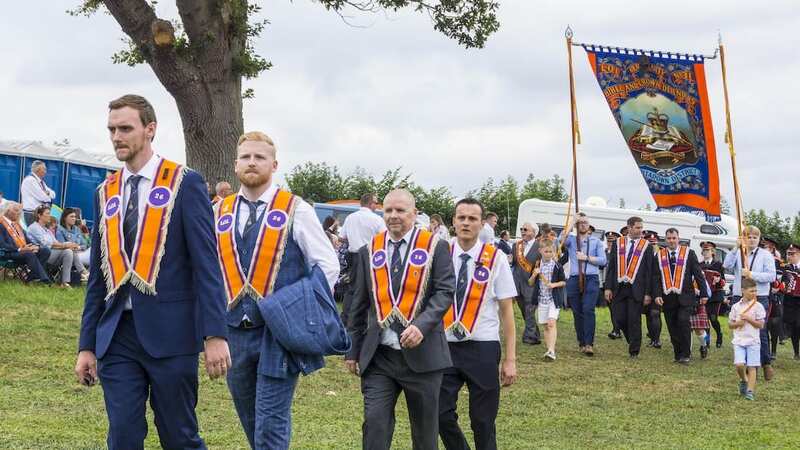 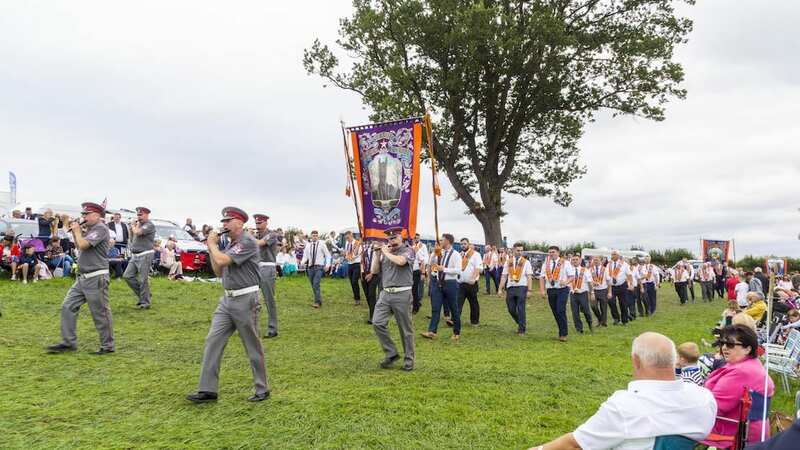 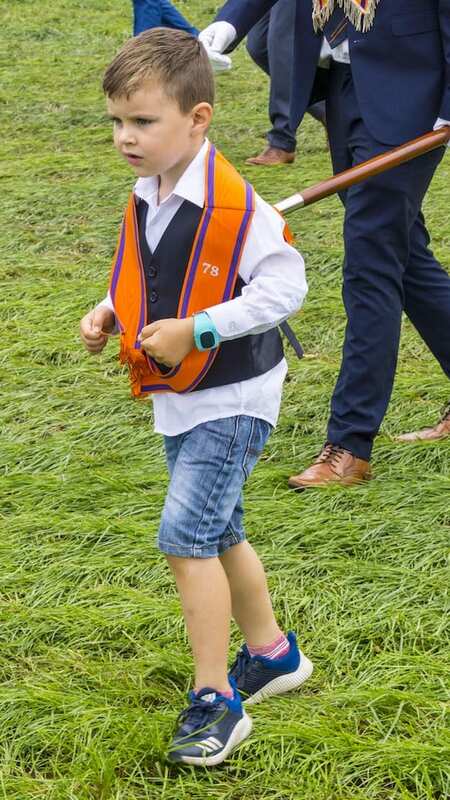 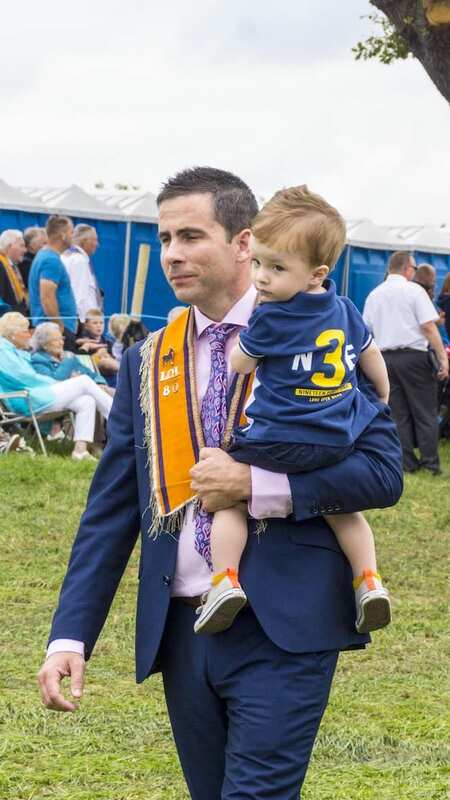 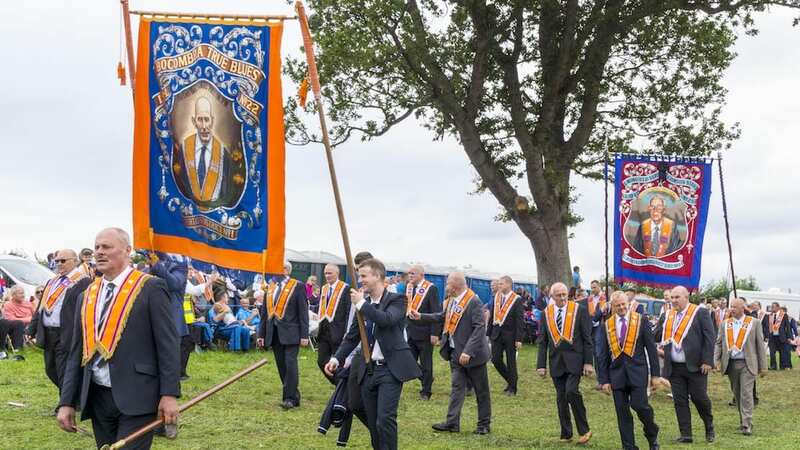 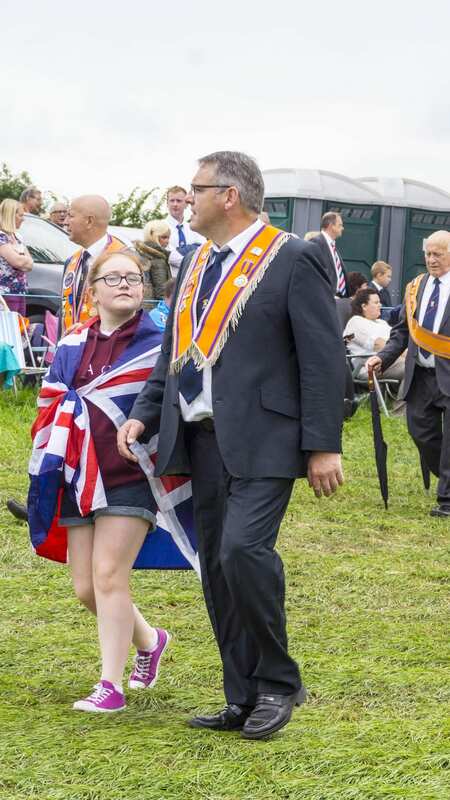 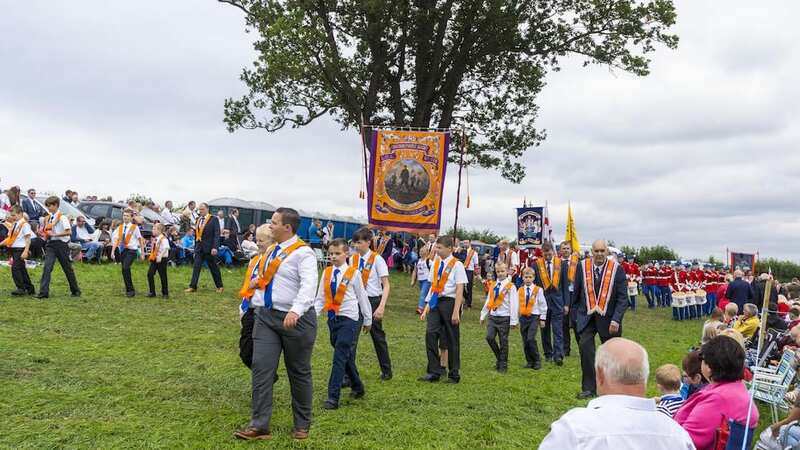 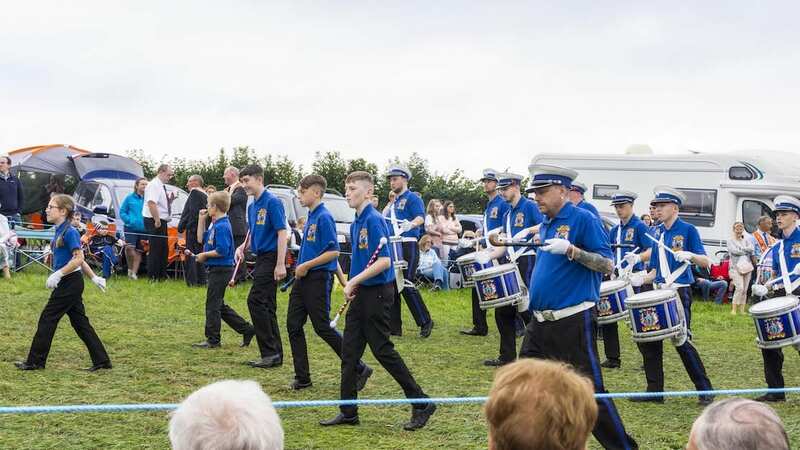 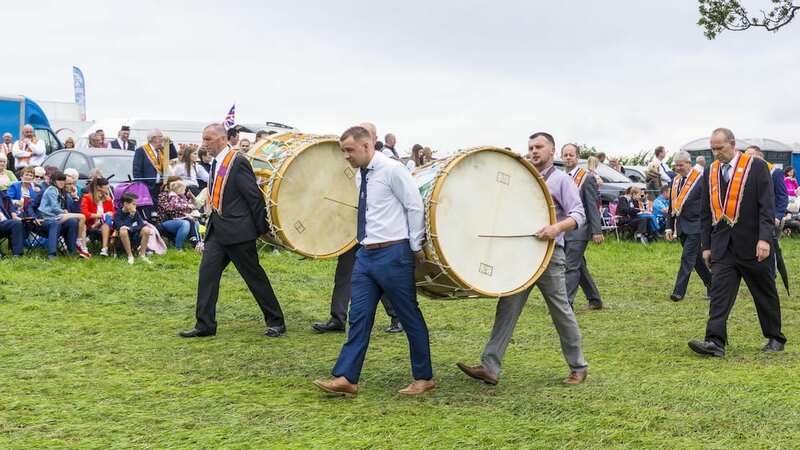 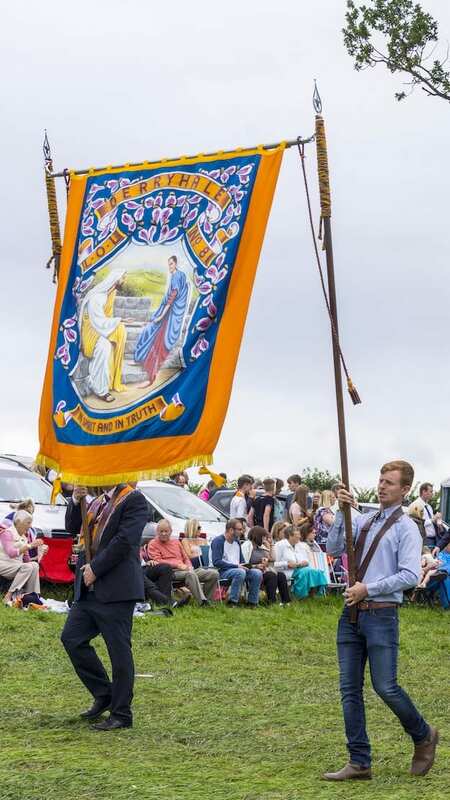 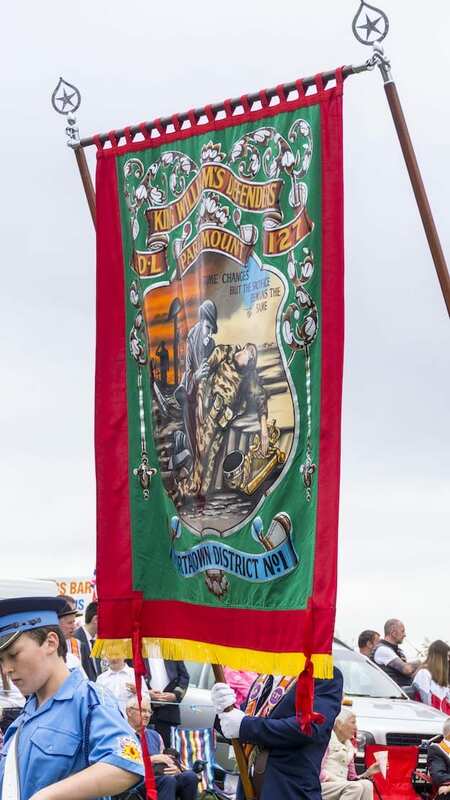 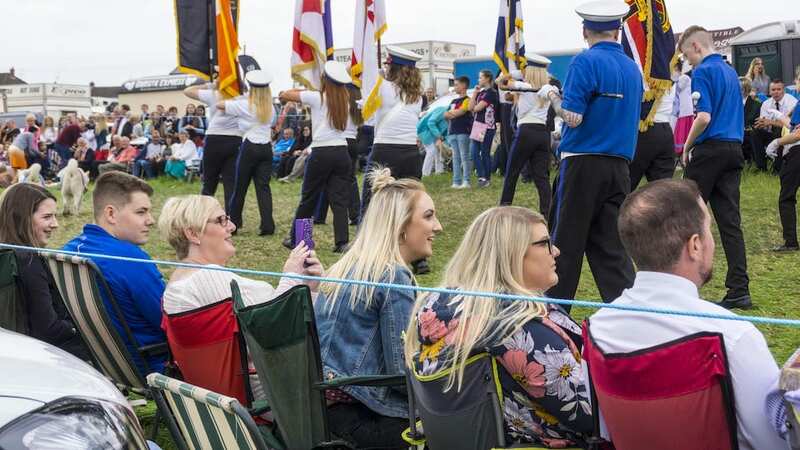 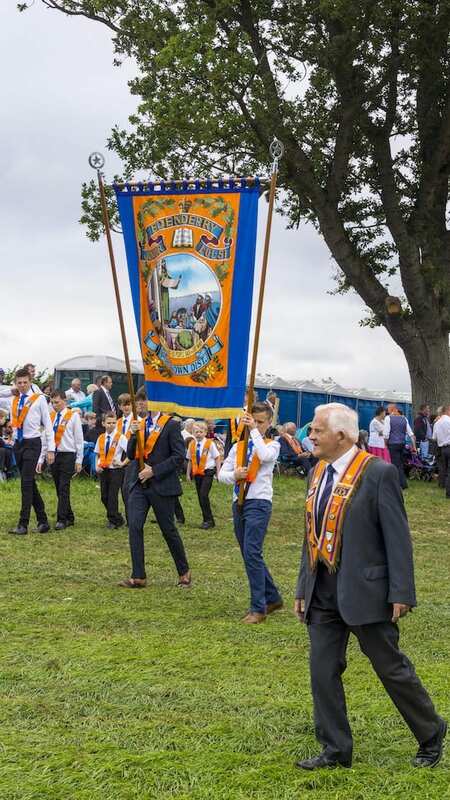 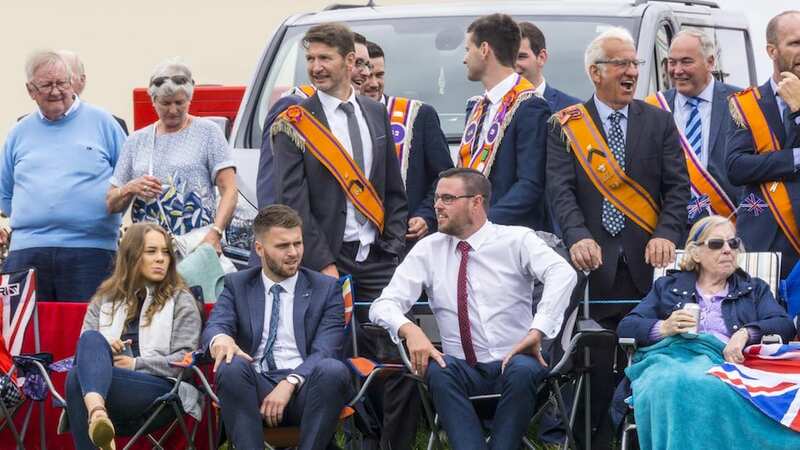 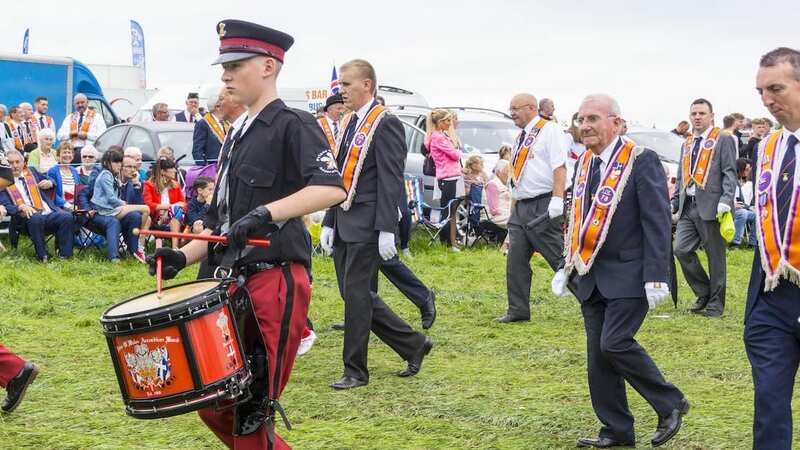 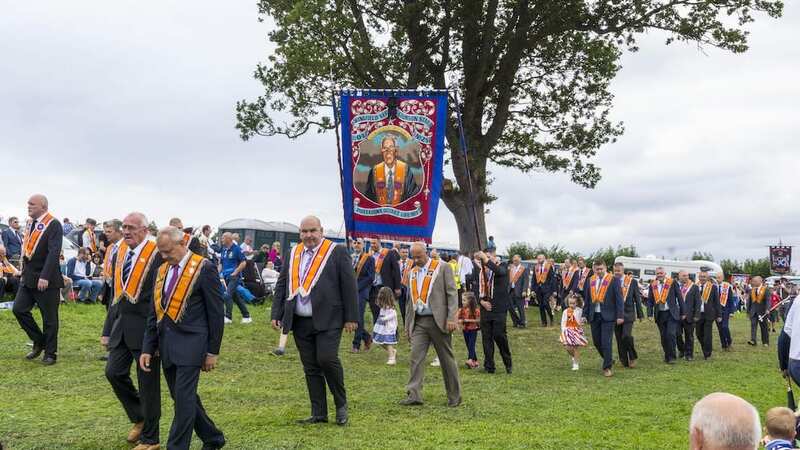 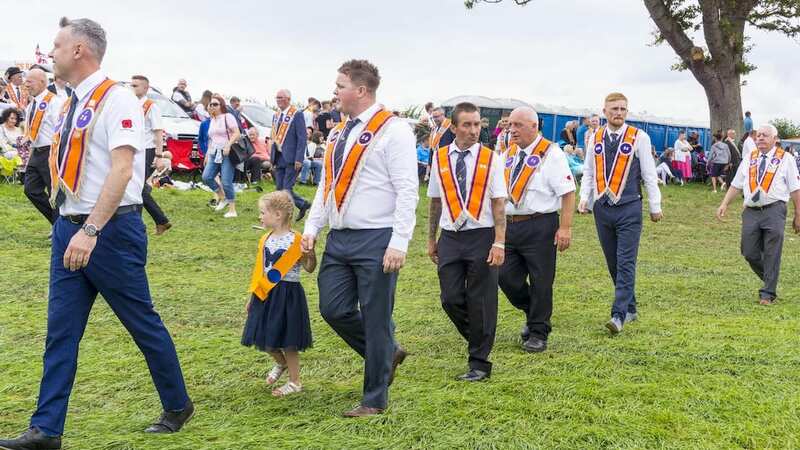 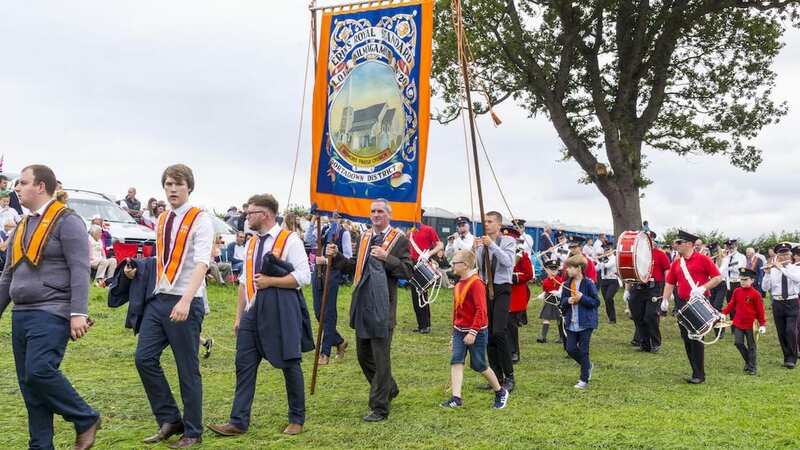 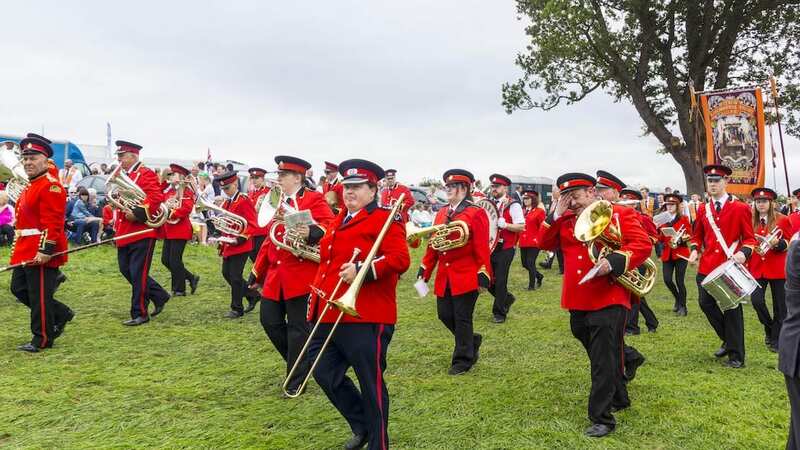 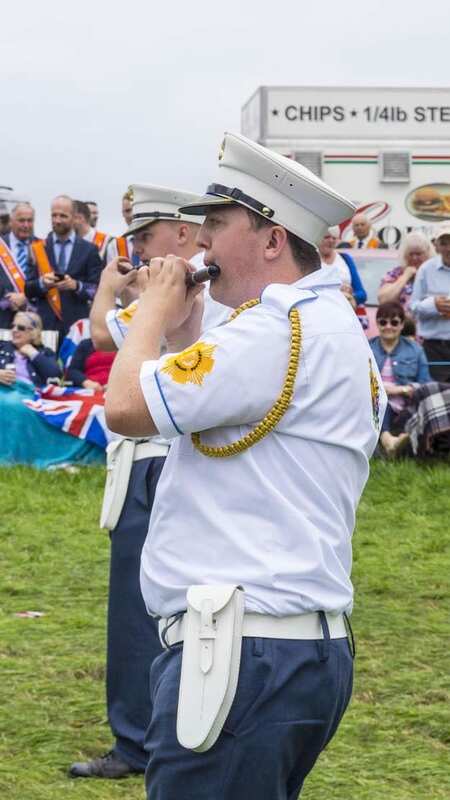 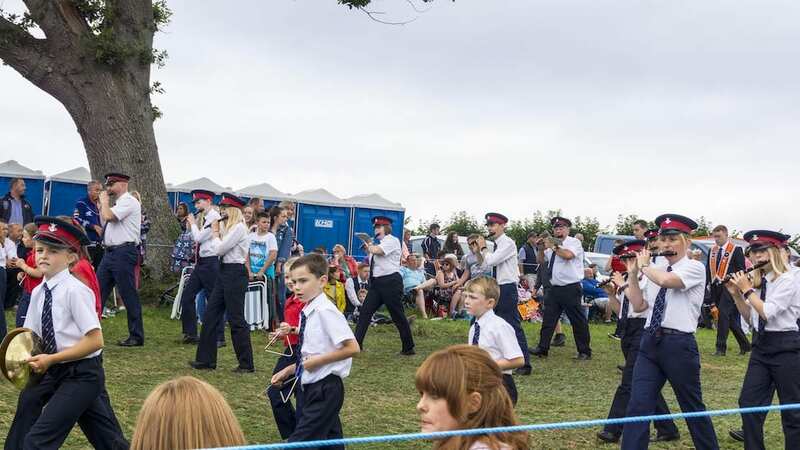 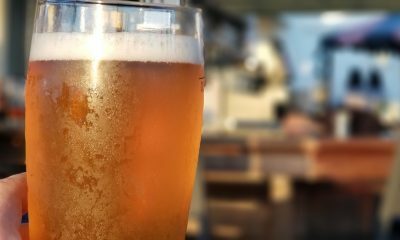 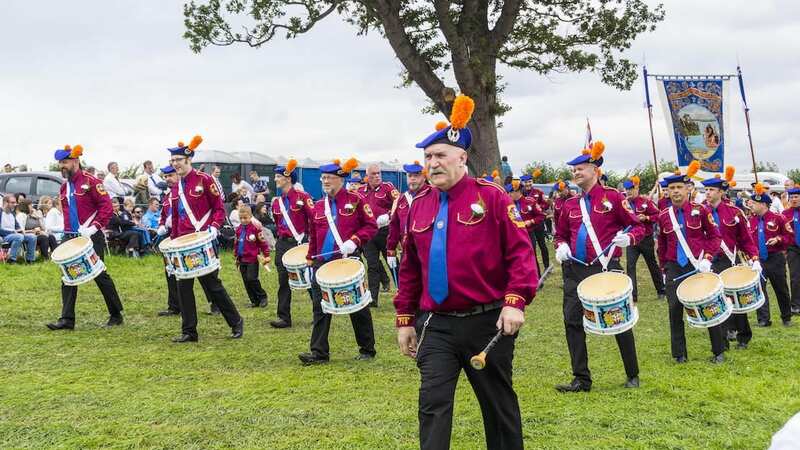 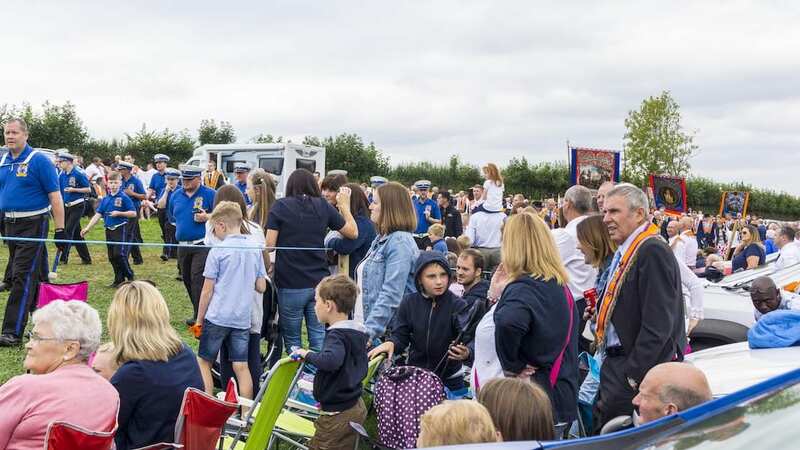 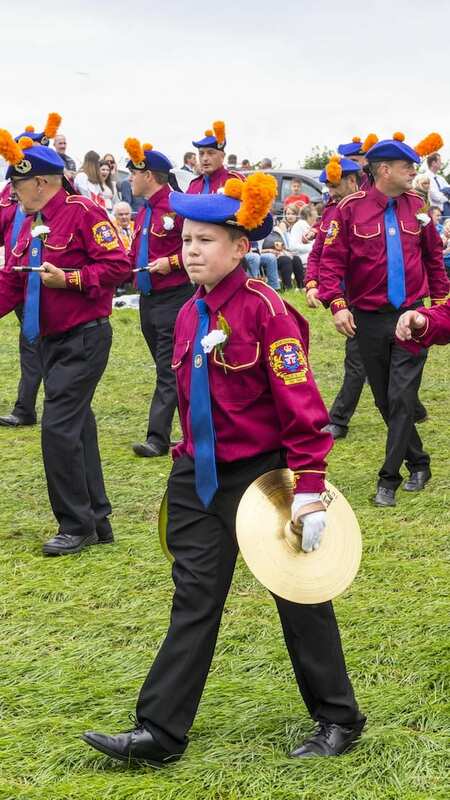 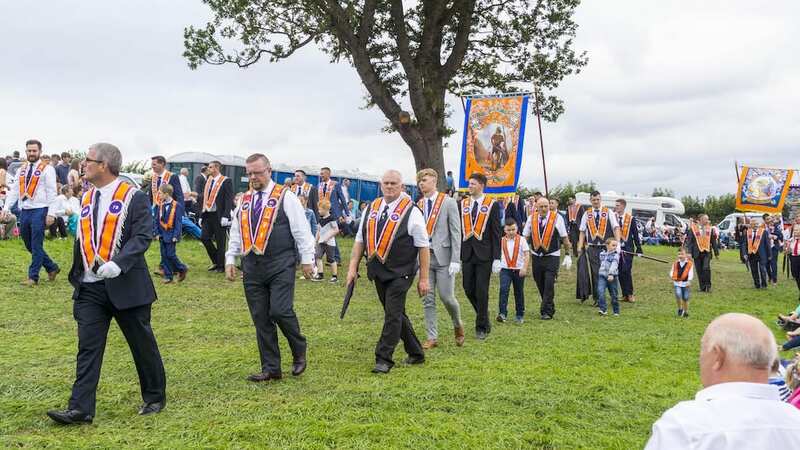 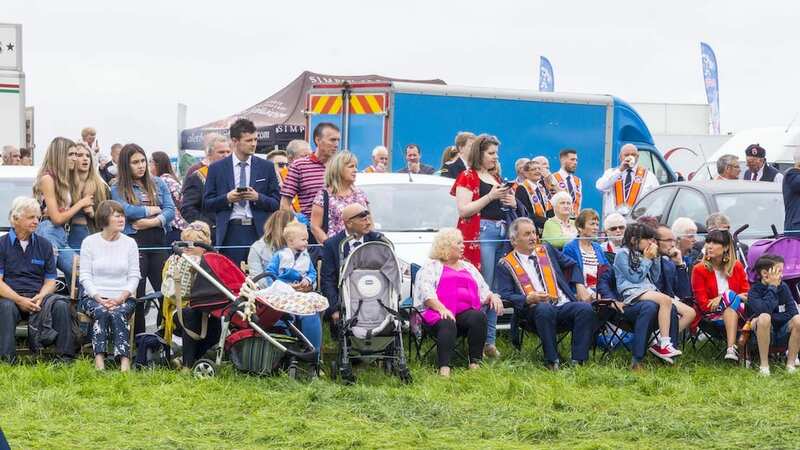 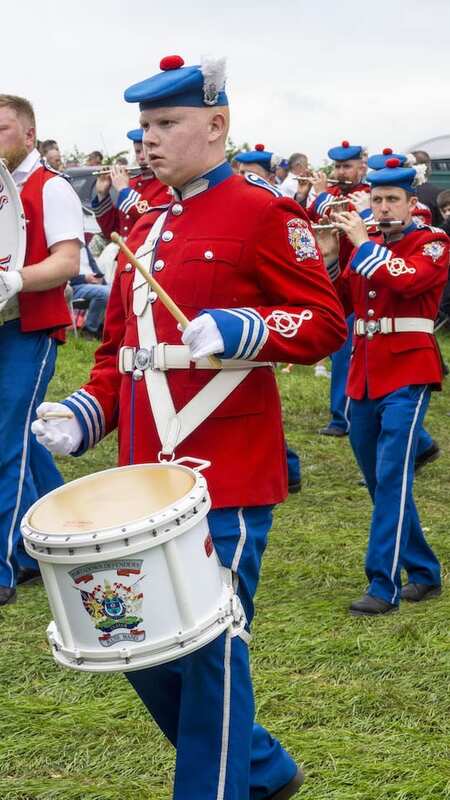 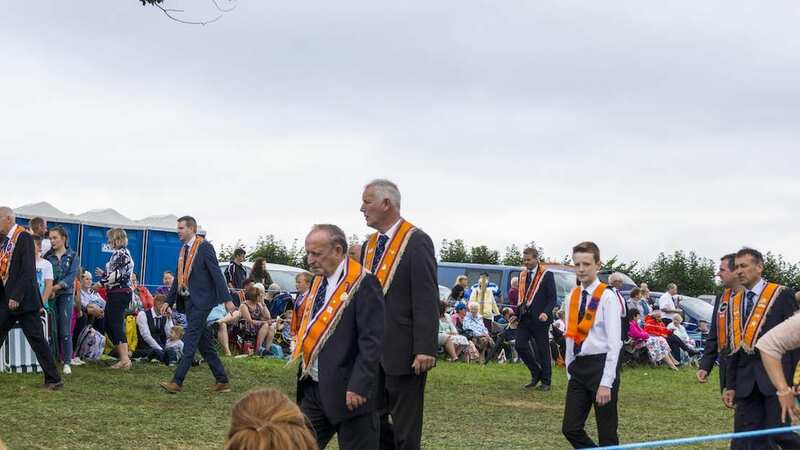 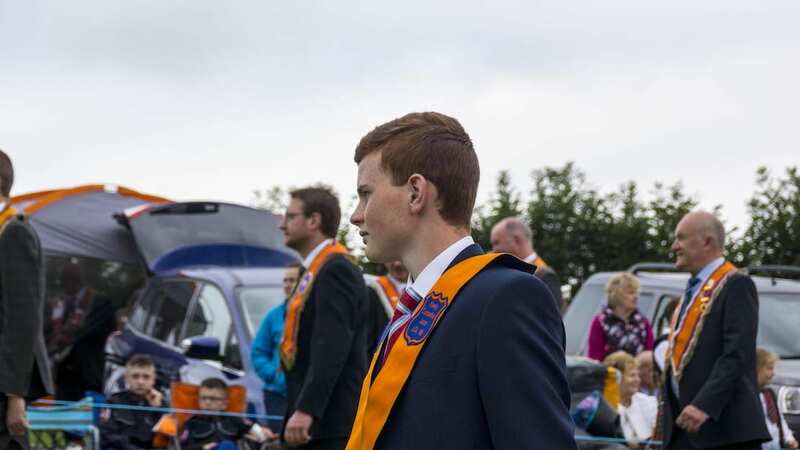 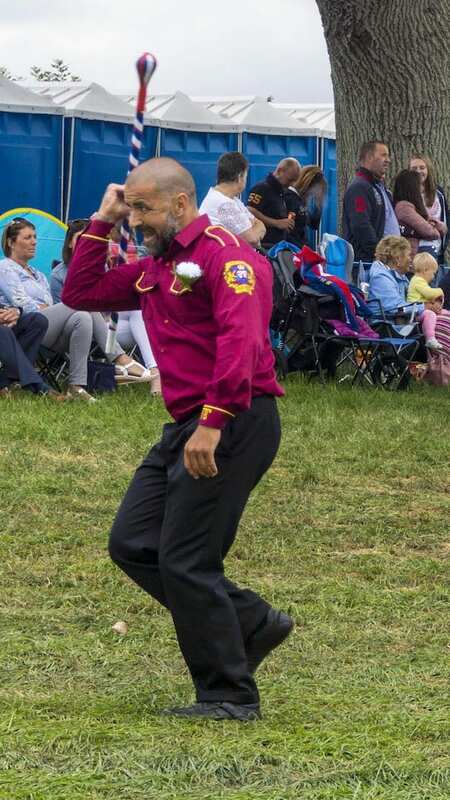 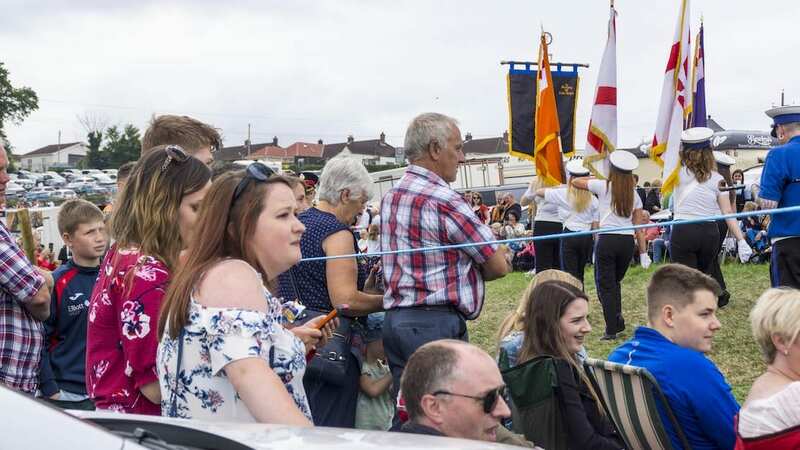 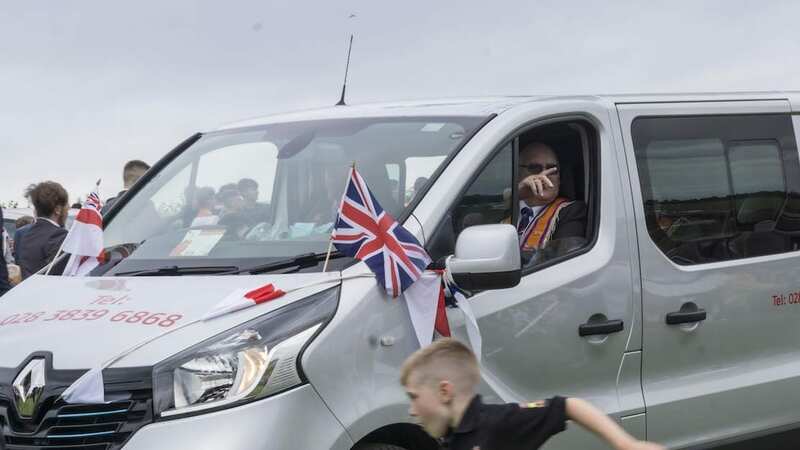 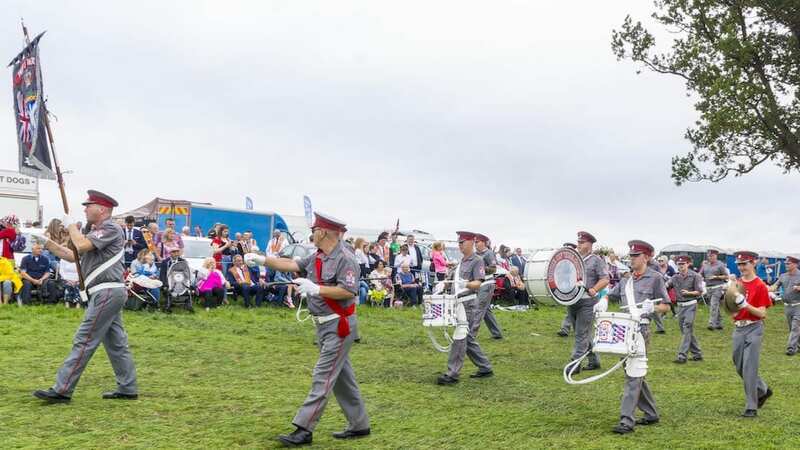 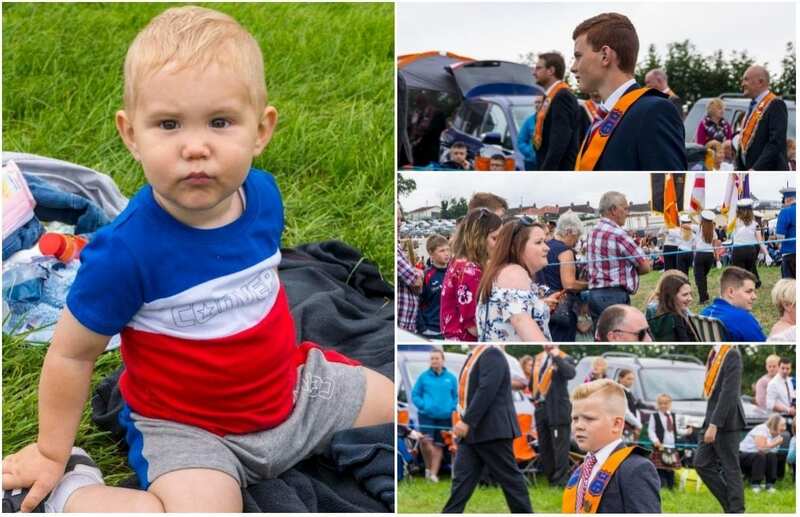 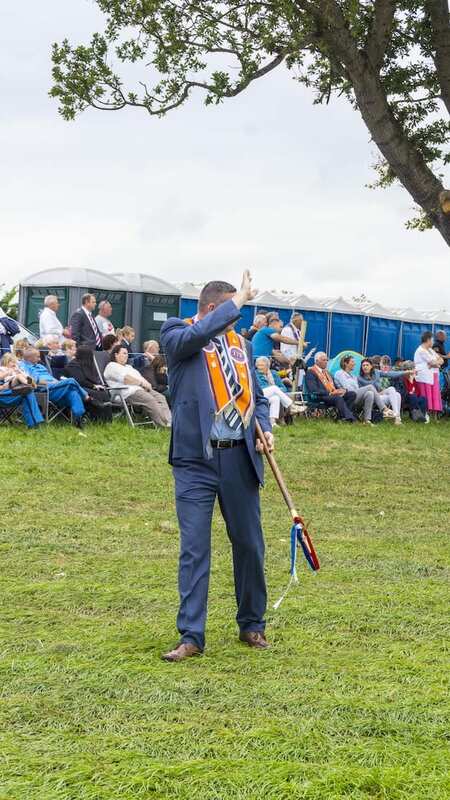 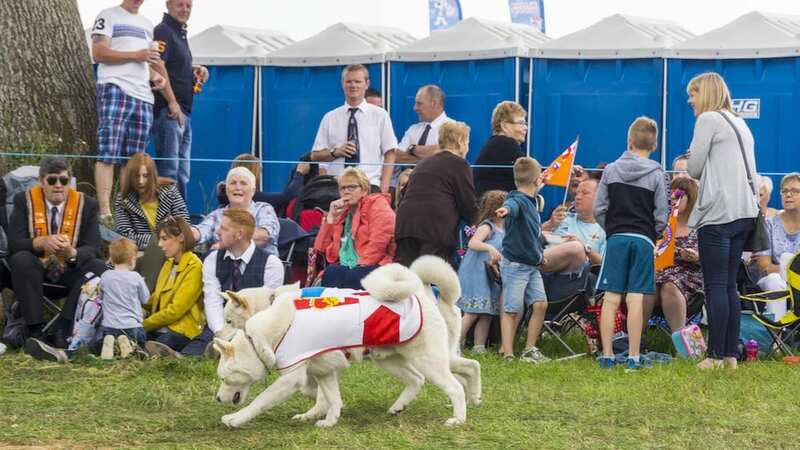 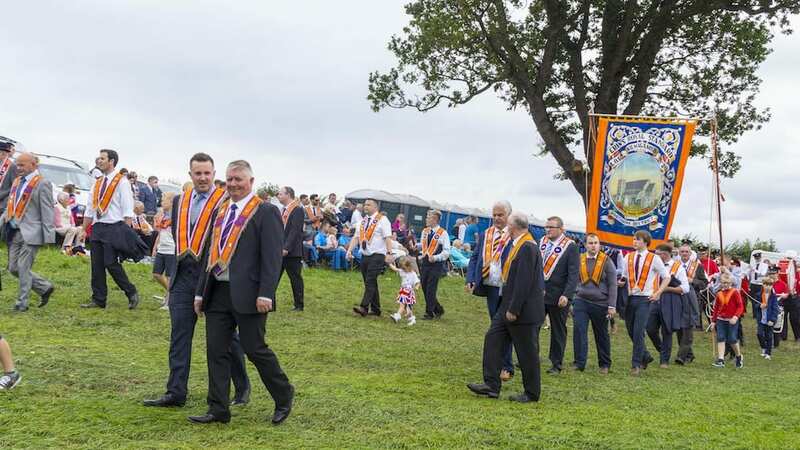 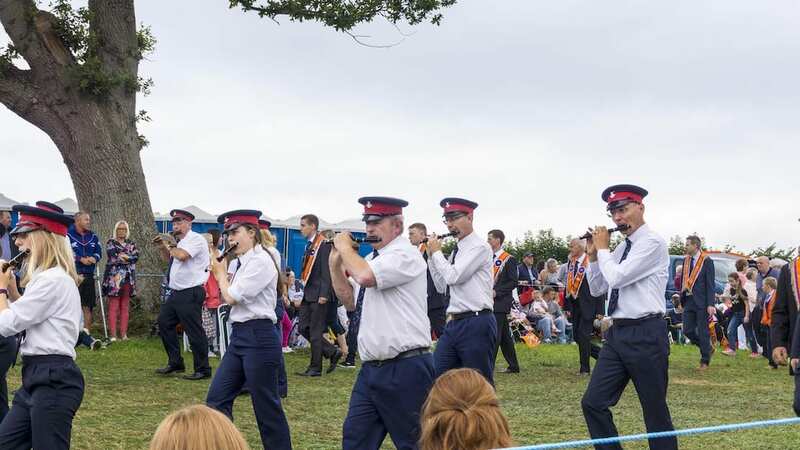 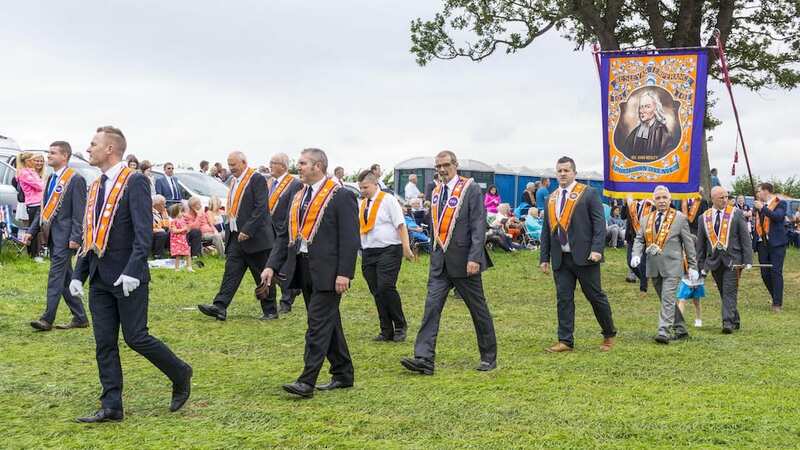 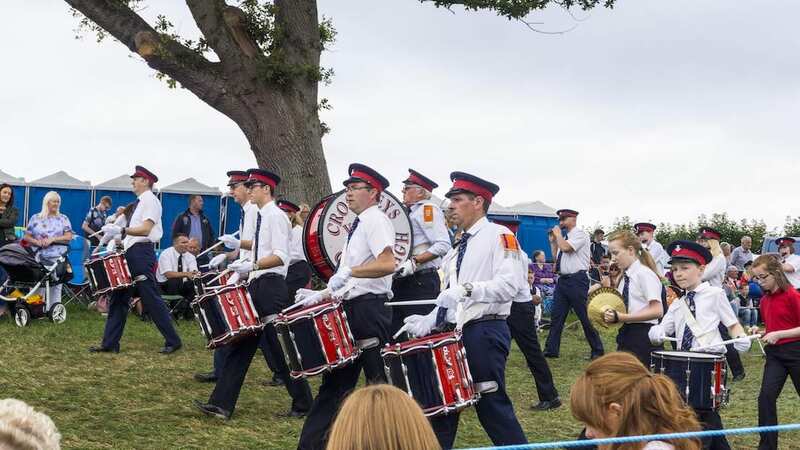 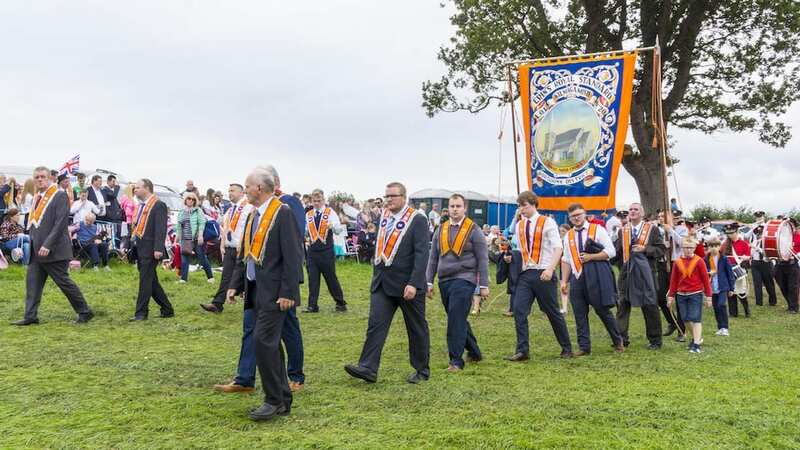 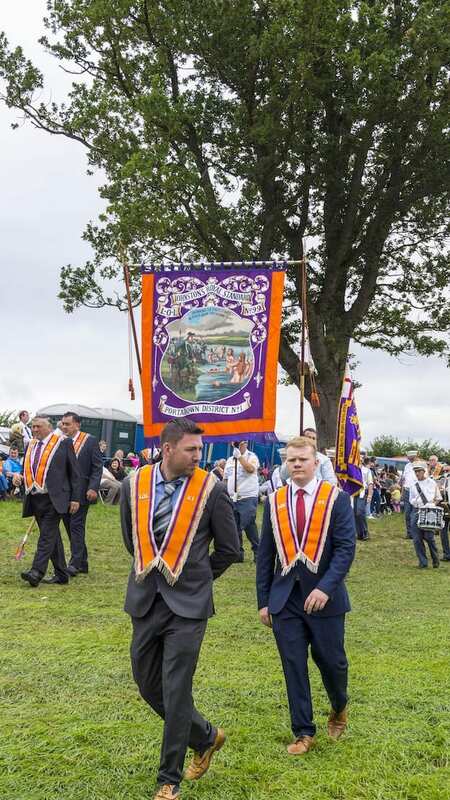 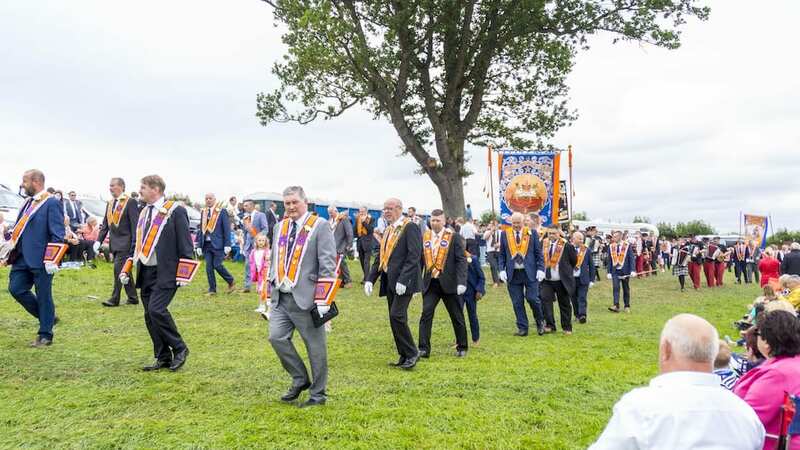 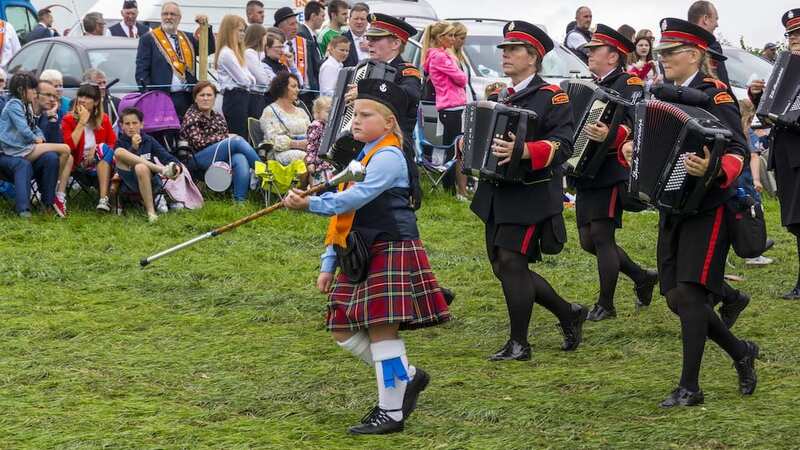 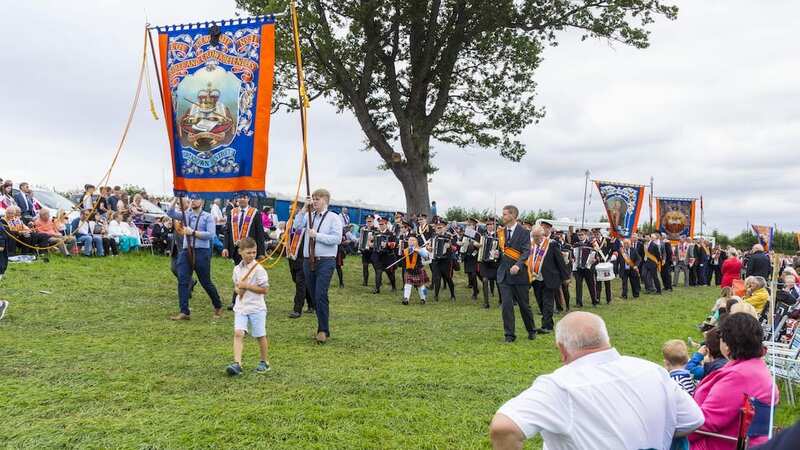 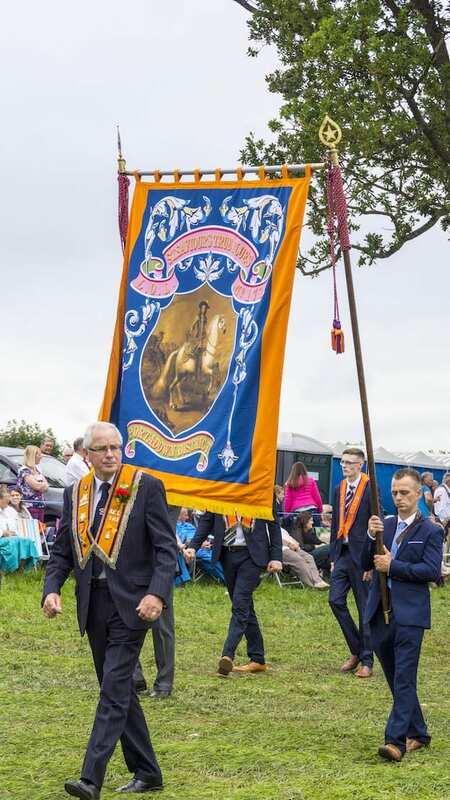 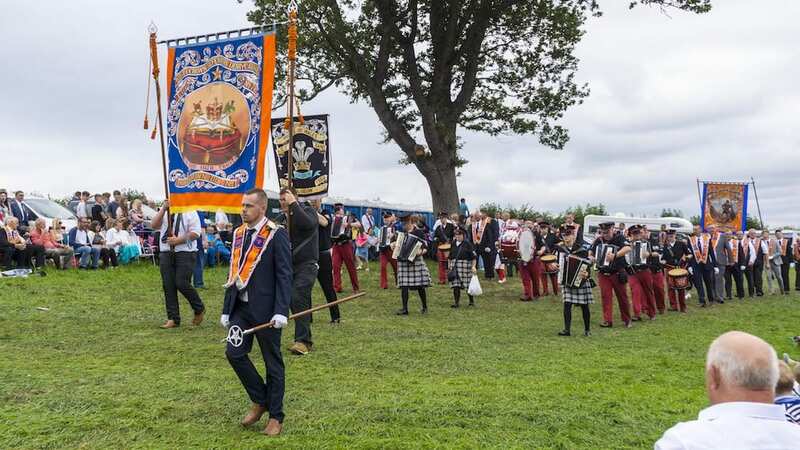 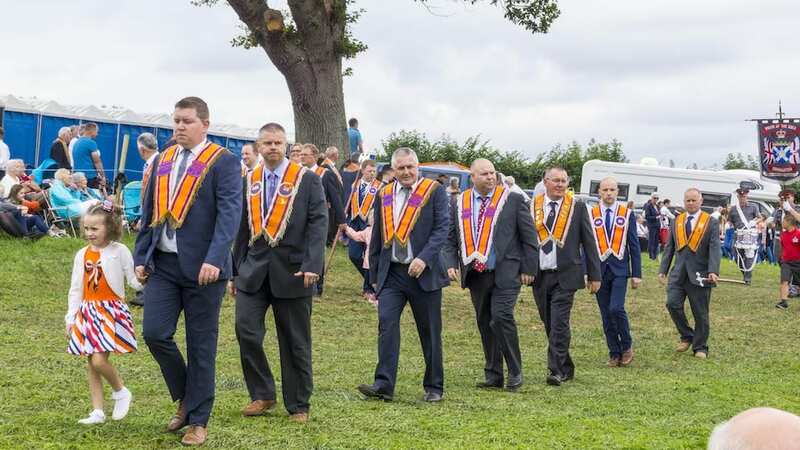 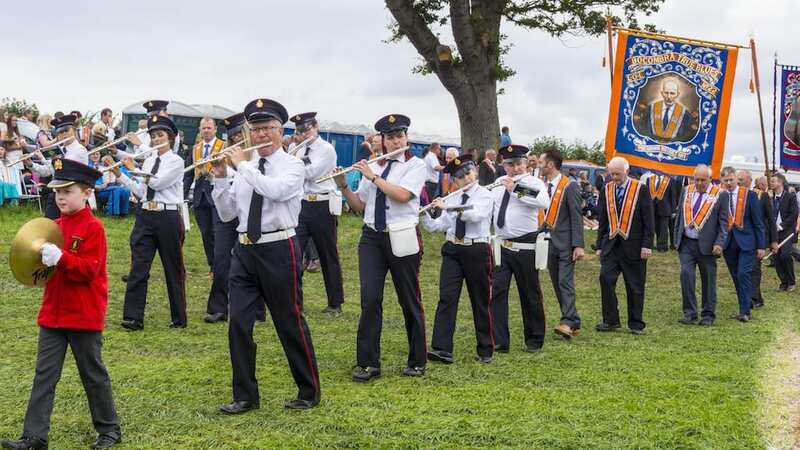 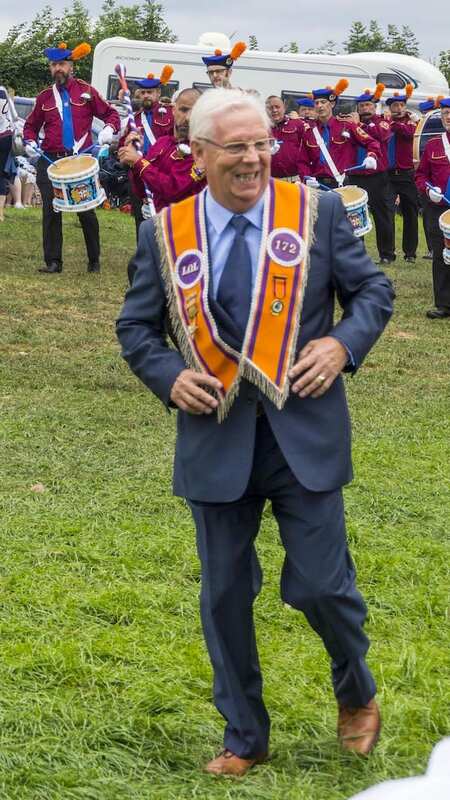 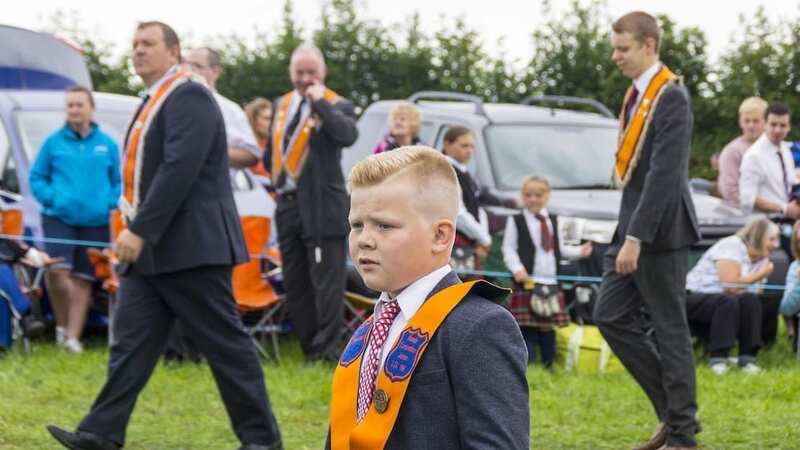 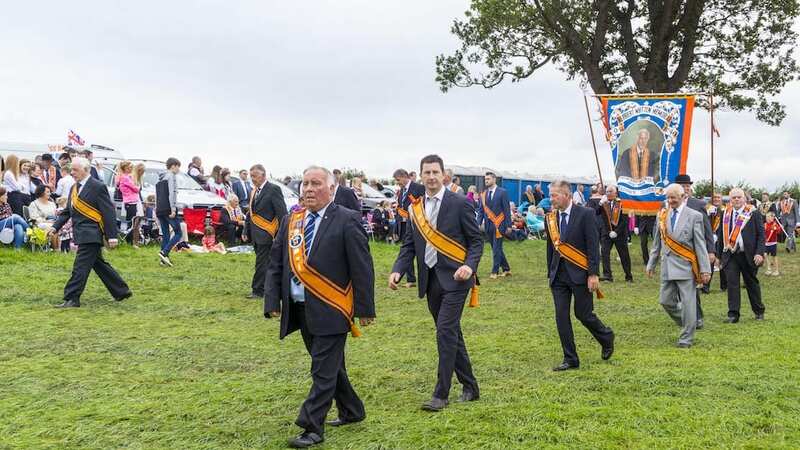 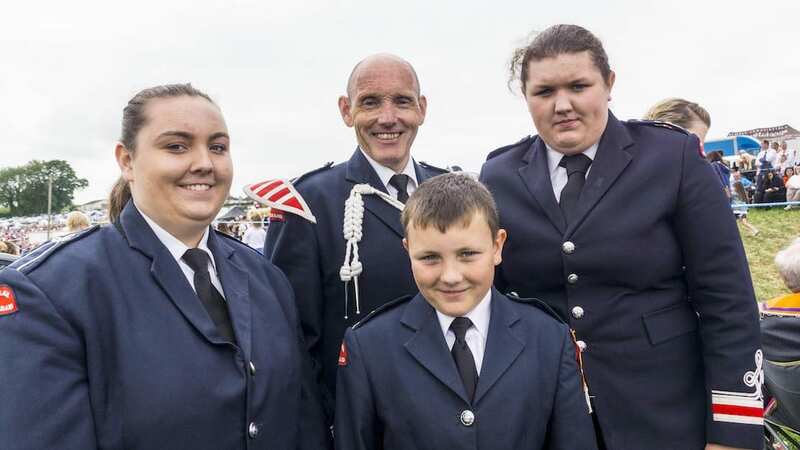 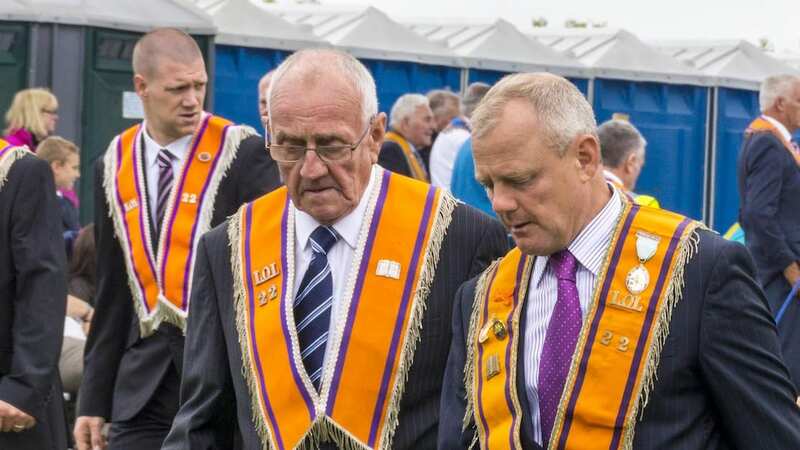 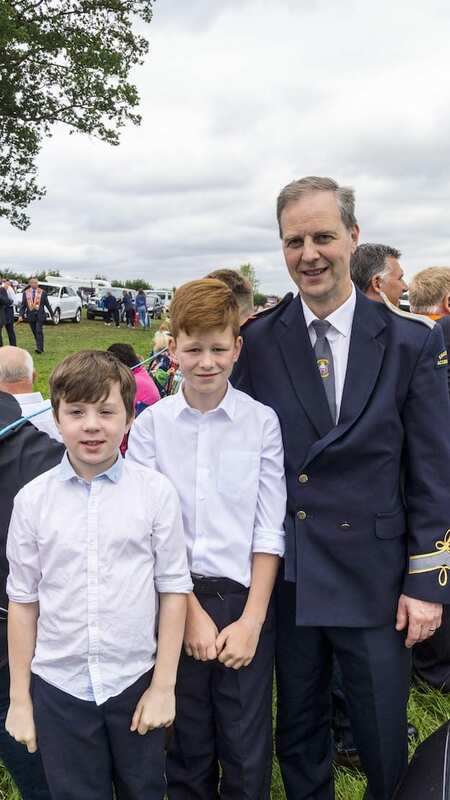 Meanwhile, over 1,000 Orangemen from Mourne District joined their neighbouring brethren at the Newcastle demonstration – in what was a break from tradition.